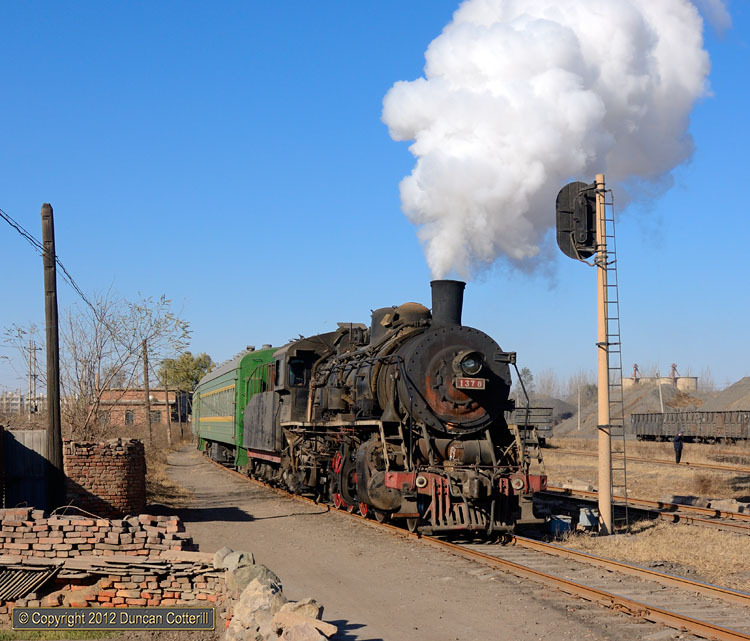 Another shot of SY 1397 leaving Xinqiu with train 114 at lunchtime on 13 November 2011. It wasn't easy to find a good spot to photograph the departure as it was impossible to get far back from the line. This was the best we could find.